Individual cupcakes with simple butter cream swirl start at £1.75 each (minimum order 12). 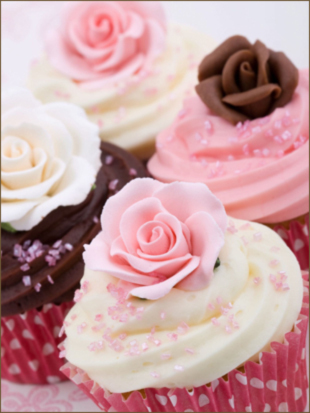 Tailored cupcake designs start at £2.00. 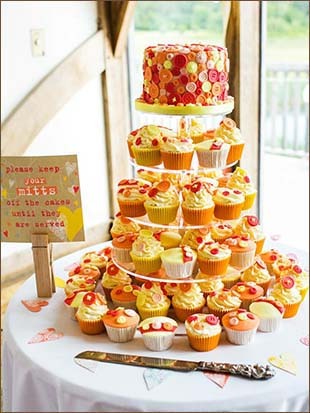 Each cupcake is a one off handmade, hand-decorated piece; Final prices vary according to the final design chosen. Iced “6” sponge cutting cakes with ribbon from £40.00 perfect for the top of cupcake towers). We freshly make all our cakes on a made to order basis, please contact us to discuss your requirements. (Delivery to within 5 miles of York city centre). You can hire stands from us from just £10.00 (refundable deposit for stand hire is required). We have a variety of stands to hire just give us a call and we will find one to fit your requirements. You are welcome to collect your cakes free of charge. We would be pleased to deliver for you to within a five-mile radius of York centre for £4.95. For delivery outside of the York area please contact us and we will be happy to discuss your requirements.